In Victoria, the Inland Rail will potentially impact 30 bridges along VicRoads’ network. This includes the expectation of six new bridge replacements and 24 bridges with track lowering. 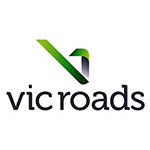 As such, VicRoads’ is playing an important role as a stakeholder for this project, offering technical design solutions and assisting the ARTC in the planning stage to ensure the best outcome possible for both the bridges and road networks, and the safe construction and operability of the Inland Rail. Check out the incredible speaker line-up to see who will be joining Hani.